BIG VIEWS at the PERFECT ELEVATION!! Upcountry beauty not to be missed! Located 1 mile down from Kula Highway on KulaÃ¢Â€Â™s iconic Omaopio Road. Tons of character including a dive-in pool! The main home has GORGEOUS, newly resurfaced Jarra eucalyptus hardwood floors! The kitchen has beautiful solid Koa cabinets and a very unique granite counter top you're sure to remember, along with a newer gas cook top. Open concept between kitchen/living/dining afford views and easy living. The master bedroom and master bath are on the ground floor. Luxurious decking wraps around this home, providing multiple areas for BBQs & chill time! The views are beautiful from almost every room, and the overall feel is very peaceful! Much of the land has been cleared and the remainder is dappled with lots of landscaping and large, mature trees: Jacaranda, Pine, Mac nut, Orange, Lime, AvocadoÃ¢Â€Â¦ and a stunning Royal Poinciana tree sits by the gated entrance. There is a large, detached barn/garage, an extra 224sf rec room located on the lower deck as well as a charming one bedroom, plantation style cottage built in the 40Ã¢Â€Â™s located away from the main home & with its own driveway. For chicken lovers, there are 3 built-in custom chicken coops. This property is a very custom, charming & unique Kula charmer! 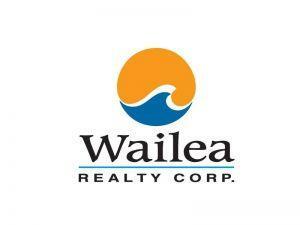 I am interested in 1311 Omaopio Rd, Kula, HI 96790 (Listing ID # 380632).